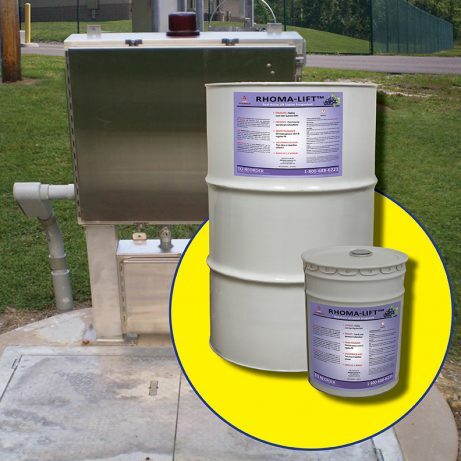 RHOMA-LIFT solves frustrating pump/lift station problems and is a safe and remarkably effective alternative to hazardous petroleum based or expensive citrus based pump/lift station cleaners. Has a pleasant grape fragrance! Do you have questions about RHOMA-LIFT? Call 1-800-688-6221 between 7:30am and 4:30pm CST to speak to customer service. RHOMA-LIFT was developed specifically for municipal and industrial sewer and wastewater departments to solve frustrating odor and grease control problems found in pump stations, lift stations, wet wells and holding tanks. 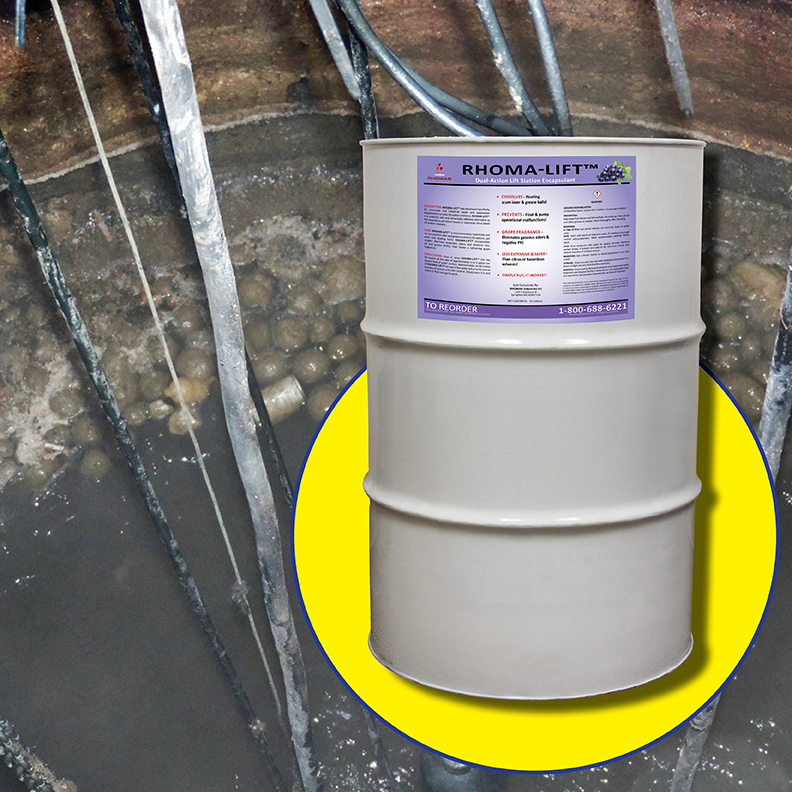 The dual-action formula in RHOMA-LIFT first encapsulates the oxygen deprived anaerobic odors and dissolves the fats, oils and grease, then it leaves behind a refreshing grape scent. Dissolves the floating scum layer and grease balls. 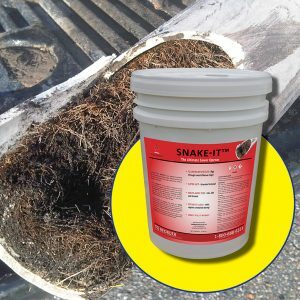 Prevents malfunctions at your pump/lift station by eliminating grease buildup on floats, pumps and walls. Refreshing grape fragrance reduces negative PR by eliminating gaseous odors. Safer and less expensive than citrus or hazardous solvents. 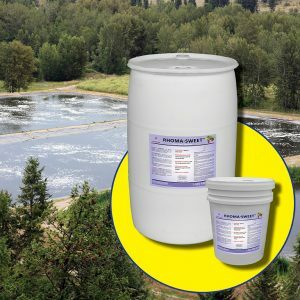 Depending on the problems you are facing, add RHOMA-LIFT into the lift station, wet well or holding tank at a rate or 1/4 to 1/2 gallon per square foot of water surface. Approximately 6 inches of RHOMA-LIFT on the top of the water will provide several months of grease and odor control. 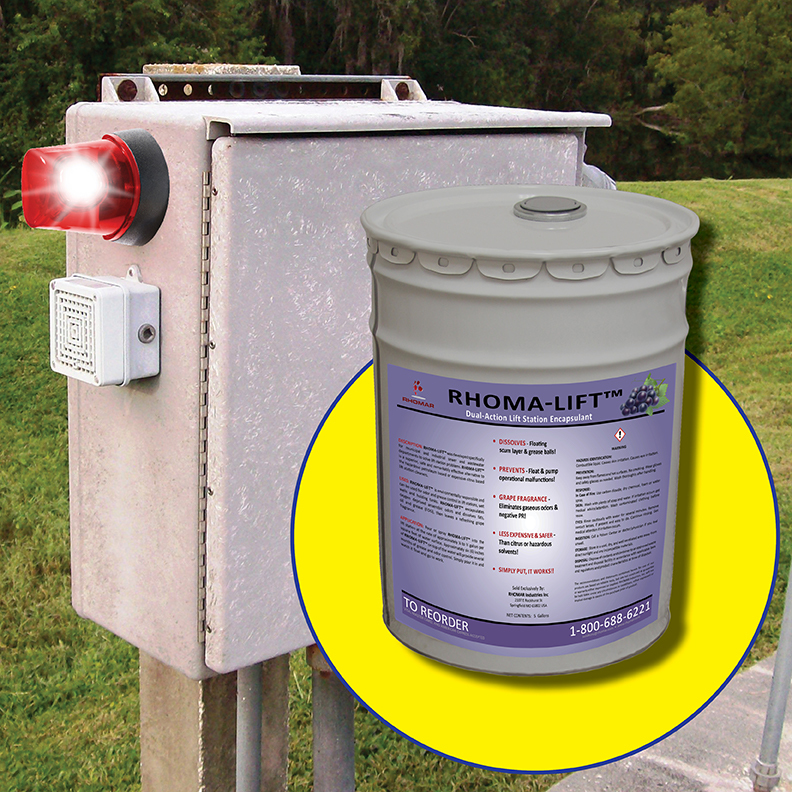 Pour or spray RHOMA-LIFT directly into the lift station, wet well or holding tank. Watch it float and go to work.